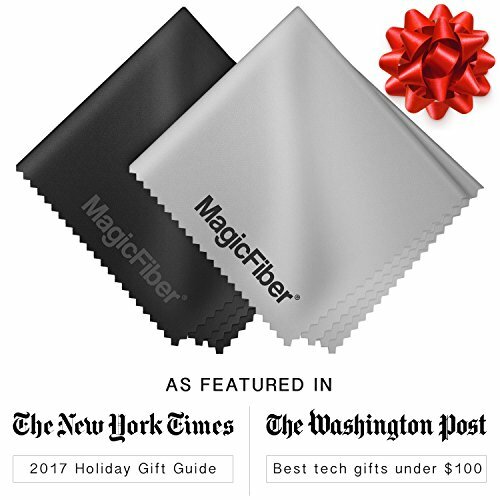 Not all microfiber cloths are MagicFibers. 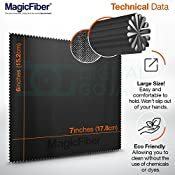 MagicFiber Microfiber Cleaning Cloths are made from the finest microfiber material using state-of-the-art manufacturing, with a specially fused saw tooth edge to prevent fraying. These premium ultra-soft cleaning cloths are 100% safe for all surfaces. Contains no harsh chemicals, and safely removes fingerprints, oil smudges, dust, and dirt. Streak free! 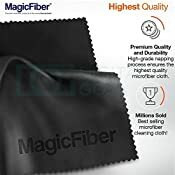 Once you try a MagicFiber you'll never want to clean with anything else! 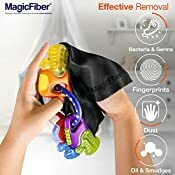 - Ultra-soft and extremely fine microfiber fabric absorbs and gently lifts away fingerprints, oil smudges, dust, and dirt. 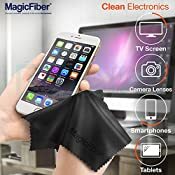 - 100% Safe for cleaning all types of delicate surfaces like eyeglasses, sunglasses, camera lenses, binoculars, telescopes, laptops, tablets, computer monitors, TVs, and jewelry. - Specially designed saw tooth pattern fused edges prevents fraying. - The included grey cloth can be used to set your cameras white balance. - Individually wrapped to keep the cloth clean and dry so it will always be ready for use. - Conveniently sized to fit in your pocket, camera bag, eyeglasses case. 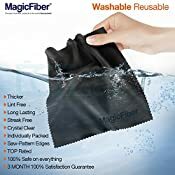 - Can be machine or hand washed in warm water with like materials. Don't use any type of detergent, fabric softener, or bleach. 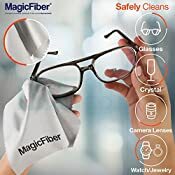 - The MagicFiber Microfibers are 100% Safe and effective for cleaning all types of surfaces including: non-coated and multi-coated lenses, filters, binoculars, telescopes, eyeglasses, sunglasses, all-types of TV's, laptops, tablets, smartphones, and jewelry.